Hanoi (VNS/VNA) - The state budget deficit, which regularly remains at a high level, and rising public debt are among the biggest macro-economic risks facing Vietnam, making it more difficult for the government to help the economy head towards growth, said Professor Tran Tho Dat, Principal of the National Economics University (NEU). Dat, who is a member of the Prime Minister’s economic advisory team, made the statement on March 25 at the national scientific conference on Vietnam’s economy in 2018 and prospects for this year. Participating specialists and scientists assessed Vietnam’s economic performance, pointed out shortcomings, analysed opportunities and made financial policy recommendations to ensure the safety and sustainability of nation’s finances. 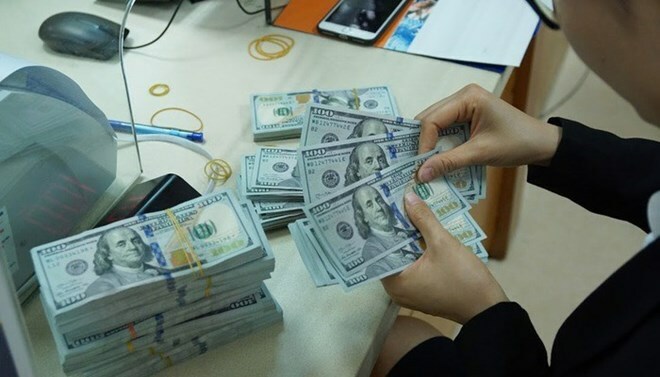 According to Professor Dat, Vietnam’s economic performance has showed positive signs with last year’s GDP growth rate at 7.08 percent, the highest rate in the last ten years. The primary contributions to growth come from foreign direct investment, the processing and manufacturing industry, domestic consumption and a trade surplus. Vietnam’s public spending over the past ten years has remained high while State budget collection is unable to cover the spending. Vietnam’s State budget deficit is the highest in the region. The country has no other choice but to continue borrowing to compensate for the overspending, causing public debt to rise, he said. “This has affected long-term economic growth, macro-economic stability and Vietnam’s capacity to respond to changes in the economic sector,” Dat said. Associate Professor To Trung Thanh from NEU said Vietnam is vulnerable to external pressures. Escalating global trade conflicts are forecast to lead to declining demand for exports and decreasing foreign investment to the country. Senior economist Vo Tri Thanh said economic growth depends on multi-national corporations. Vietnam will be affected if these groups face challenges, making it the biggest difficulty the country currently faces. Participants at the conference agreed that it was necessary for Vietnam to assess fiscal policy in the context of new economic developments and analyse the impacts of fiscal policy on the economy. Vietnam needs to reform its tax collection system to reduce the burden and cut spending on administrative management.